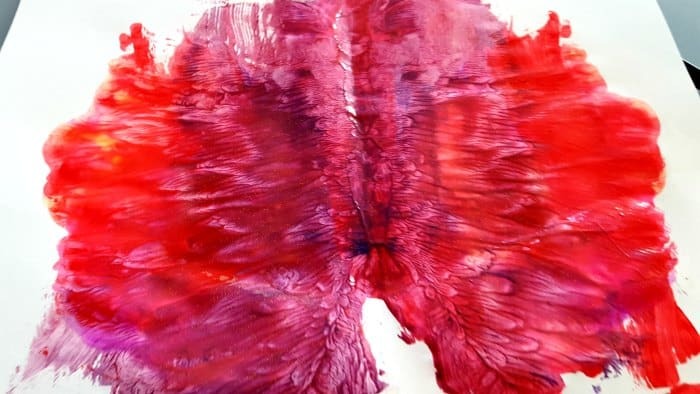 Today we are going to be making butterfly paintings for toddlers. I’ve always loved making these paintings and I know that children of all ages still get a thrill out of seeing their painting ’emerge’. If you have older sibling then this is a great activity that you can all do together. 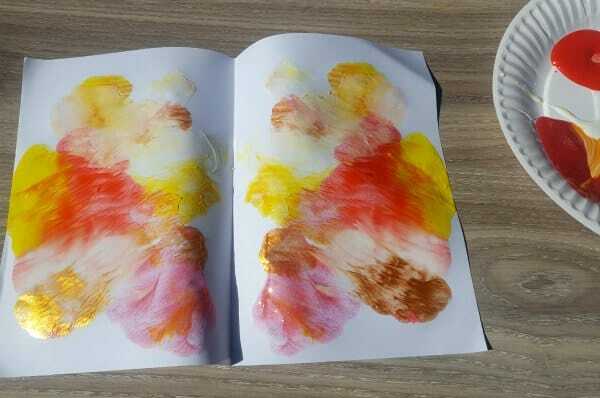 This toddler painting activity is our Day 3 Challenge as part of our 10 Day Toddler Painting Challenge – you can sign up HERE if you would like to take part. I always like to get out the paints and make butterfly paintings after we read The Very Hungry Caterpillar. 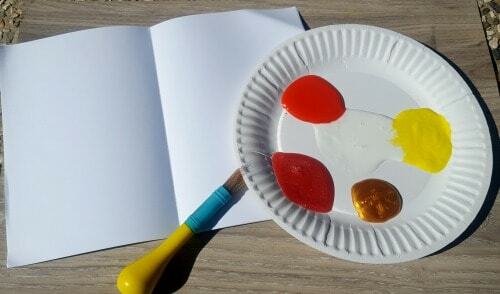 Today we’re doing our Butterfly paintings as part of our 10 Day Toddler Painting Challenge. 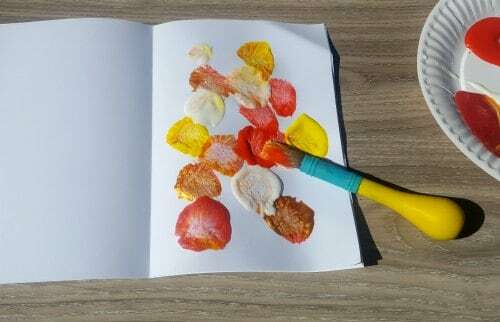 Yesterday we painted with fruit and vegetables and I have loved seeing your photos in our Facebook group and on Instagram (follow #MyBoredToddler to see everyone else’s creations). You can find all of my essential painting items for this challenge HERE. 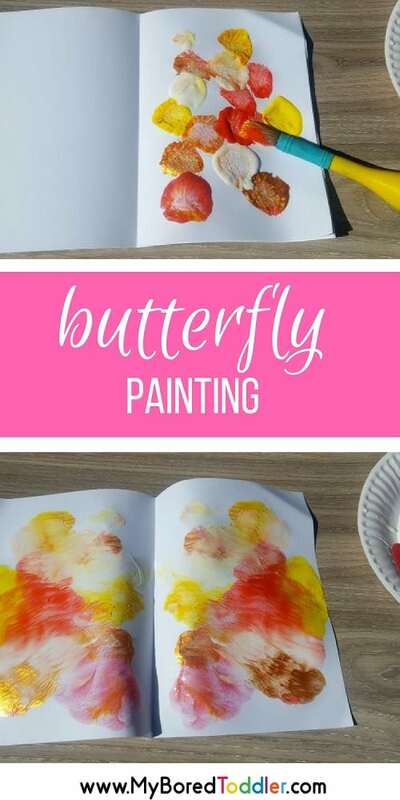 These butterfly paintings are really easy to make. 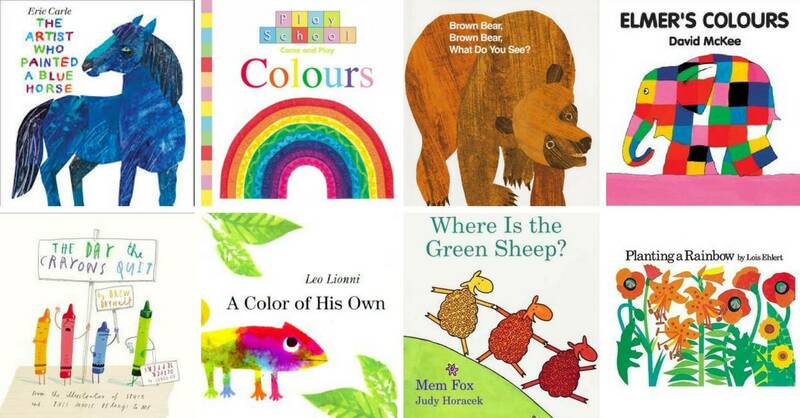 Encourage your child to paint only one half of the picture. Putting blobs of paint on in random spots works the best. 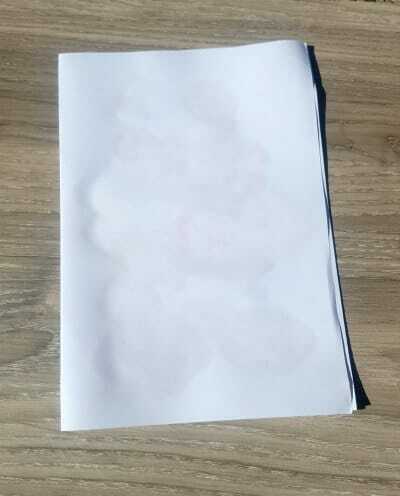 Carefully (adult help is often required) open the paper and see what ‘butterfly’ emerges! 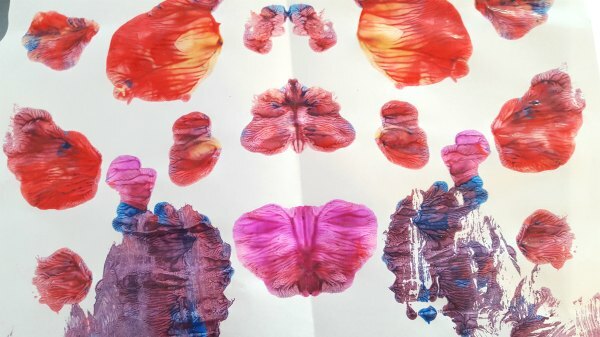 I really love this painting activity because you end up with a different picture each time. In my house we always have to do LOTS of these at a time. As I speak my 5 year old is still going with the activity and we have about 20 paintings scattered around the house! 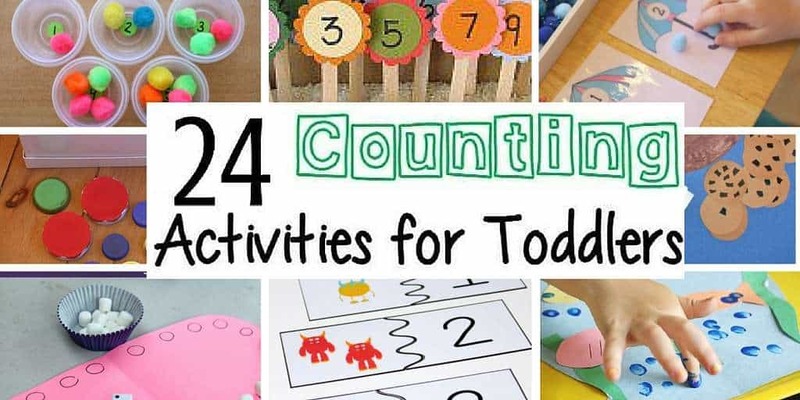 It’s a really great activity when you want something that a toddler and older sibling can do too. 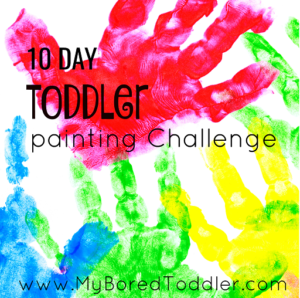 Thanks so much for everyone who is joining in our 10 Day Toddle Painting Challenge. Don’t forget that you can sign up HERE if you haven’t already. Don’t forget to pop over to our Facebook Group and Instagram and share your pictures – use #MyBoredToddler . I’ll share some of your photos on my Instagram Stories too so keep an eye out!